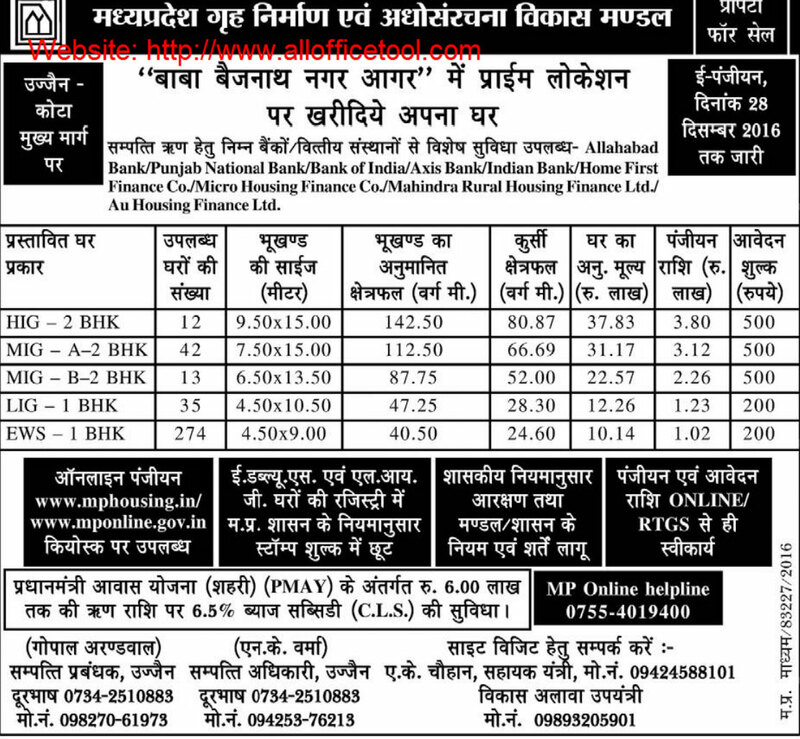 MP Housing Board invites application from economical weaker section, lower income group, middle income group and higher income group for the allotment of housing units in its new housing scheme 2016. MPHB has launched this scheme under Pradhan Mantri Awas Yojana of central government. Under the scheme, total 374 flats are being offered which are of 1BHK and 2BHK type. Of total, 274 flats are reserved for EWS category and remaining flats are available for LIG, MIG and HIG categories. The estimated cost of flats is around 10.14 lakh for EWS flats which goes upto Rs. 37.83 lakh for HIG flats. The payment of registration amount and application money to be paid only through Online/RTGS only. Under the scheme a loan to be provided under PM Awas Yojana upto Rs. 6.0 lakh at the interest rate of 6.5%. For more information follow the official website of MP Housing Board at http://www.mphousing.in.